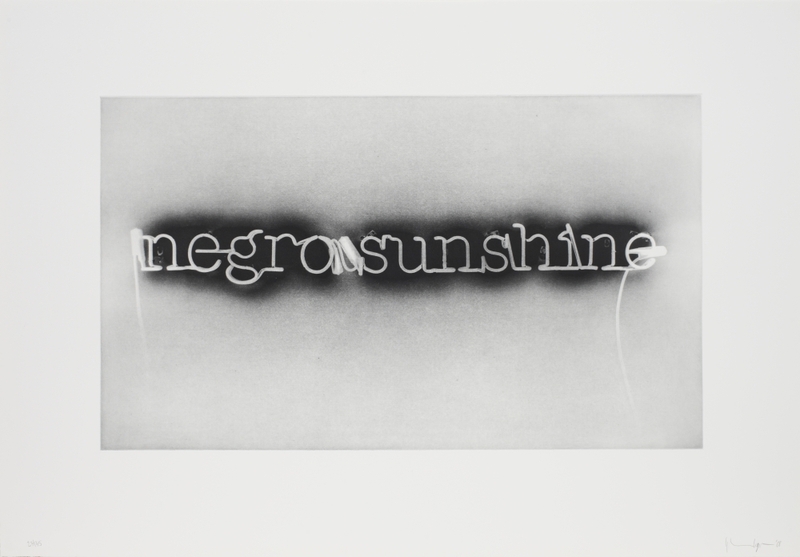 Glenn Ligon in "Second Look, Twice"
Drawing from the vast collection of prints and multiples accumulated over a lifetime by Jordan D. Schnitzer and His Family Foundation, Museum of the African Diaspora presents an original exhibition of the work of fifteen critically-acclaimed contemporary artists of African descent, including Glenn Ligon, Martin Puryear, and Kara Walker, who have used the medium of printmaking to create vivid and abstracted works. Reveling in the brilliance of gestural compositions, abstract form, and pure color, the works in the exhibition offer a rich look at the various ways in which many of these artists have employed printmaking as an exploratory means of dissemination and new possibility for formulation. For more information, please visit MoAD's website.